Residents in the Ladonia are currently without water after one of the city’s two pumps quit working on Friday. According to the Hunt County Theft Reports, the City of Ladonia lost water production on Friday, April 5th with Well 2 while Well 1 had been down for some time. It was reported on Friday afternoon that workers had identified a broken pump in the well as the source of the problem. It is unclear how long it will take to repair the broken pump and restore water to the area, however, many are hopeful it will be this week. The Ladonia Chamber of Commerce said on its Facebook page that parts for a new pump are expected to arrive on Tuesday, though no timetable for completion of repairs was given. KETR said on Tuesday afternoon, city employees confirmed that work crews were installing new equipment, but no estimate of completion time was given. 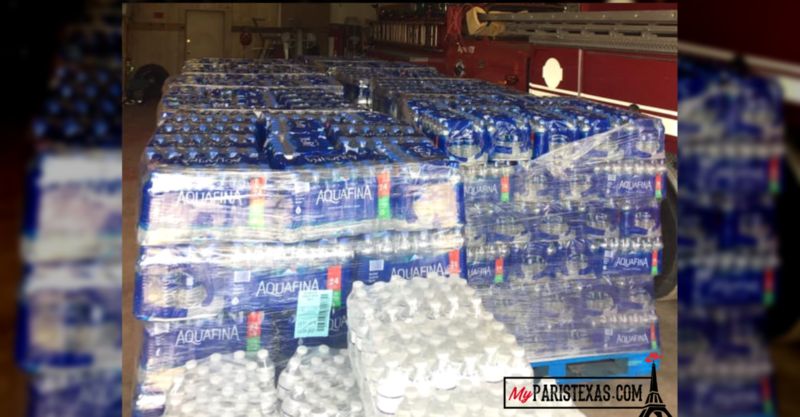 While the city continues to work on the issue, the town is offering bottled water to residents at the Ladonia Volunteer Fire Department. If you’d like to donate water, you can drop it off at these fire departments: Caddo Mills, Campbell, Cash, Celeste, Commerce, Ladonia, Lone Oak, Quinlan, and West Tawakoni.